Li Juan Gao has contributed a new project called Voice Mail. Below is her description. 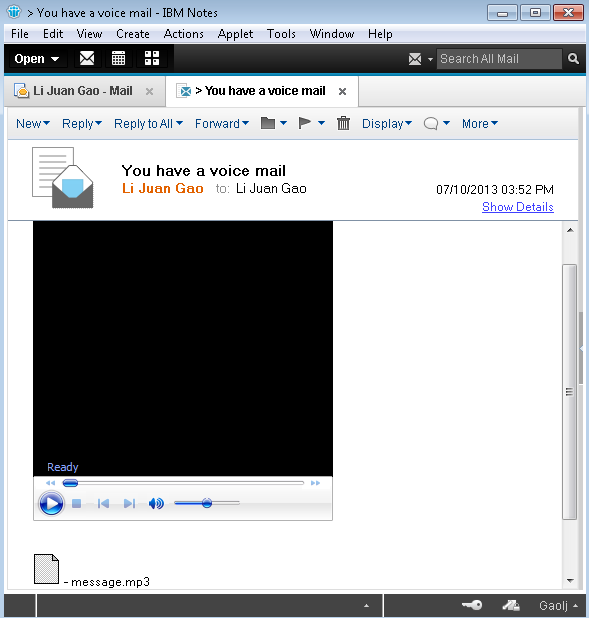 "This app demonstrates how to programmatically create and send a voice mail which contains an embedded player to play the voice attachment. 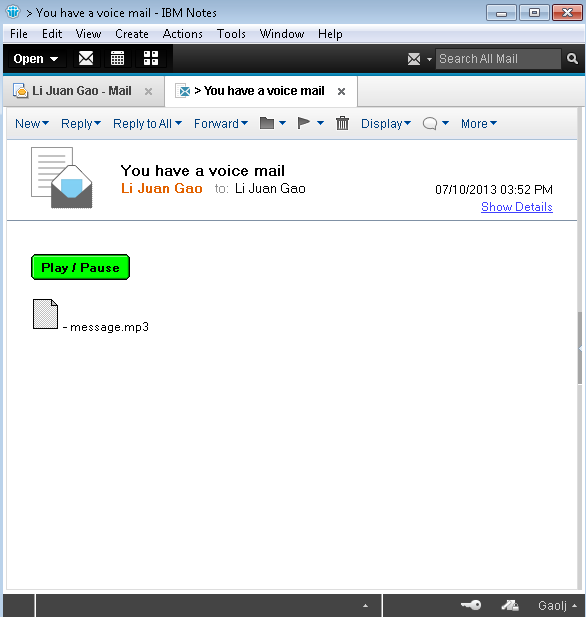 When user receives the voice mail, he/she can play the voice attachment directly with the built-in player in the message in Notes context. No longer need to launch an external player to play the voice attachment. Two solutions are introduced in the app. One is embedding a Windows Media player object to play the voice attachment; the other is using the Windows MCI (Media Player Interface) API directly to play the voice attachment."